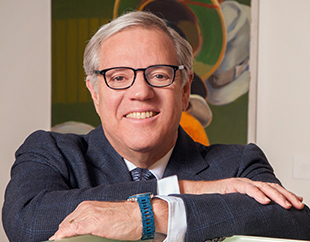 Barry Adelman represents clients around the world in mergers and acquisitions, public and private placements of equity and debt securities, secured loan transactions, formation and structuring of corporations, partnerships, LLCs, and joint ventures, project financings, and other commercial transactions. He is particularly well known for his extensive work on behalf of the pioneers of the wireless telecommunications industry, beginning in the 1980s. In addition to other work on these companies’ behalves, Mr. Adelman was lead counsel in the formation of the joint ventures which obtained licenses for in excess of sixty of the top ninety cellular markets, and represented his clients in several separate multibillion-dollar transactions. Mr. Adelman also represents and advises special committees in evaluations of interested-party transactions, and high-net-worth individuals and families in connection with employment and personal matters as well as business and financial transactions. Representation of T-Mobile (then known as VoiceStream) in its acquisition by Deutsche Telekom, a transaction valued at more than $50 billion at the time it was announced. Representation of Western Wireless Corporation in connection with its over $6 billion merger with Alltel Wireless. Representation of Trilogy International Partners LLC in a $875 million business combination with Alignvest Acquisition Corporation, a special purpose acquisition corporation (SPAC). Representation of the Special Committee of the Board of Atlas Pipeline Partners, L.P. in connection with the evaluation and negotiation of Atlas’s approximately $400 million asset sale to Atlas Energy, L.P., the corporation that controlled the general partner of Atlas Pipeline. Mr. Adelman and the firm’s work included advice related to the fiduciary duties of the Committee, identification of the appropriate level of Committee involvement in the transaction evaluation and negotiation process, and negotiation of principal transaction documentation with the purchaser. Mr. Adelman and the firm also represented the Committee in connection with a derivative action that was filed challenging the transaction. Representation of Western Wireless International Corporation in connection with the sale of an Austrian cellular telephone company to Deutsche Telekom for in excess of $1 billion. Representation of major telecommunications companies in numerous major infrastructure deals in a wide variety of countries in Latin American, Europe, Asia, and Africa. Prior to joining Friedman Kaplan, Mr. Adelman was a partner for more than twenty years at Rubin Baum Levin Constant & Friedman. Mr. Adelman is an Adjunct Professor of Law at the University of Michigan Law School and has taught a seminar titled "Anatomy of a Deal" for more than a decade. In September of 2018, he was inducted into the Wireless History Foundation Hall of Fame.